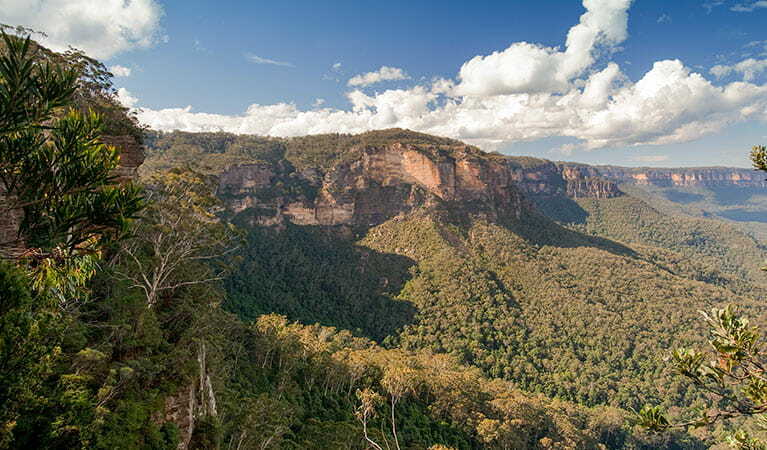 Ruined Castle walking track is a jewel among walks in the spectacular Blue Mountains World Heritage area. 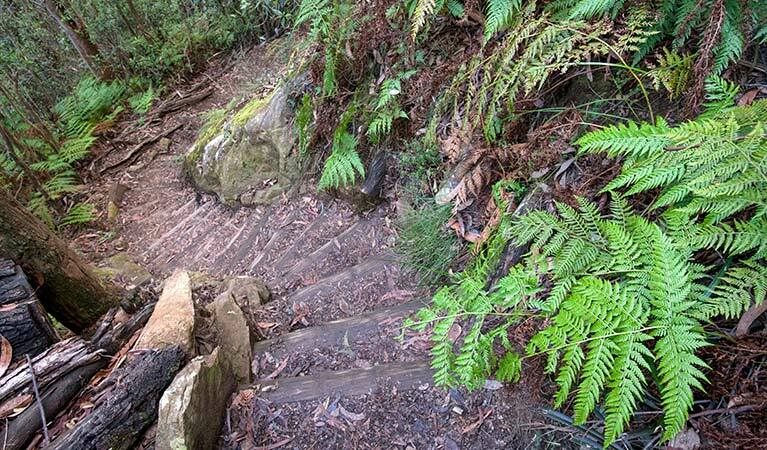 Beginning at the Golden Stairs and descending into Jamison Valley, this hard walk lets you climb one of the most recognisable landmarks in the valley; the Ruined Castle. 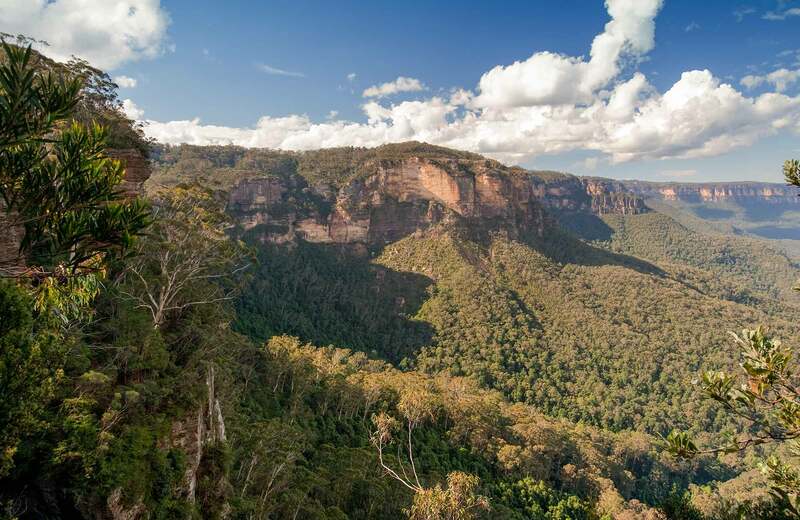 It’s a beautiful rock formation that offers great views over the valley as far as Wentworth Falls and Katoomba. 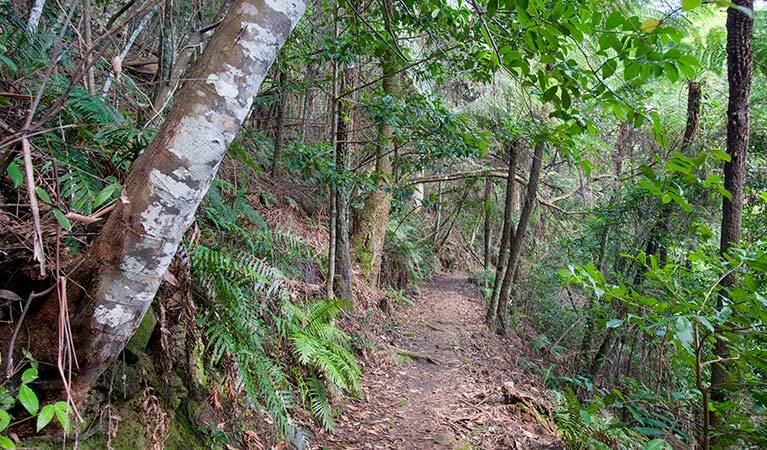 Descending deep into the valley, you’ll enter the cool, lush rainforest with towering coachwood and sassafrass, and a chance to spot a lyrebird. 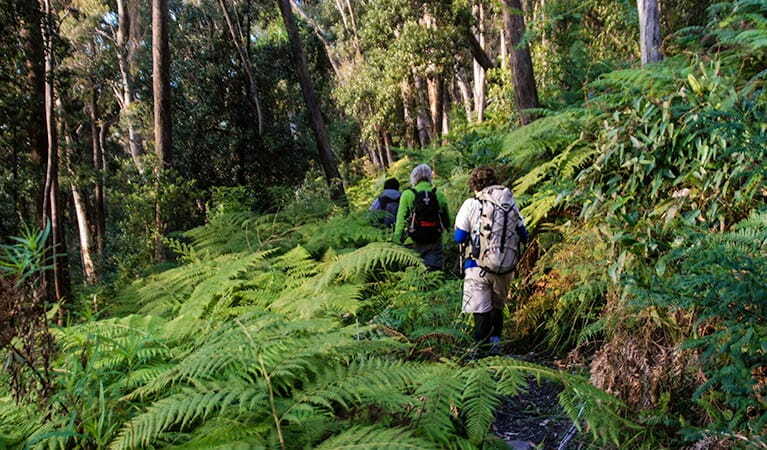 The track is an historic mining route with tell-tale embankments, cuttings and the tumbled ruins of miners’ cottages. 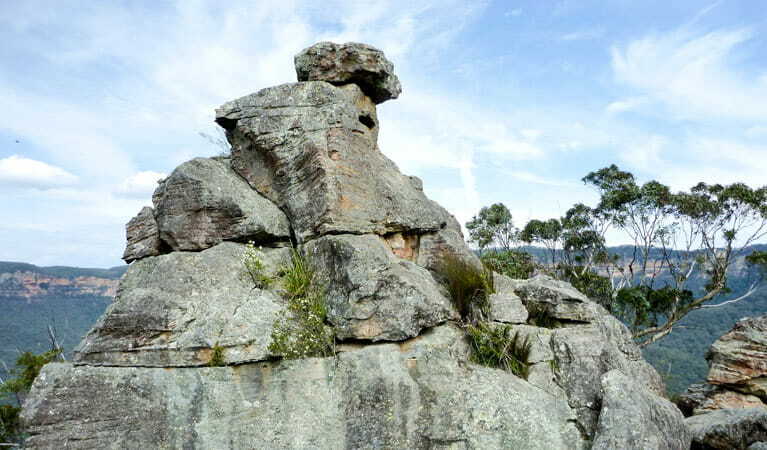 Take a virtual tour of Ruined Castle walking track captured with Google Street View Trekker.